If you have followed us for any length of time, you know that we create a lot of tea. We also do not have a brick and mortar shop, so our space is at a premium. On one hand, this means your tea is always blended to order – and will have been made within days of being shipped. On the other hand it means that the objects required for product photos shift from “we need this” to “we need to get this out of the way of other things” in the time it takes to do a photo shoot. 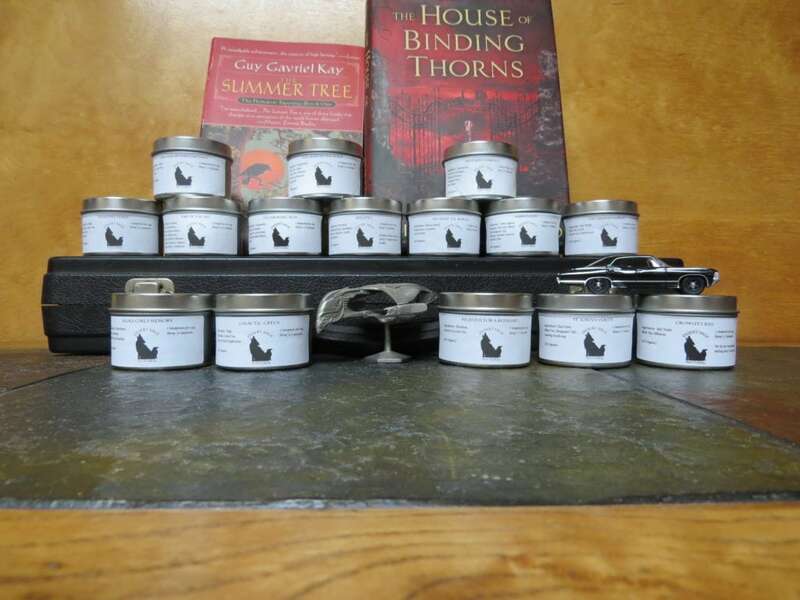 We’ve reached the point where our “Orphan Tea” 1 boxes are full again, which means it is time to do another giveaway. The teas we are giving away, with some bits of inspirational material – for fun! If you have not read anything by Aliette de Bodard or Guy Gavriel Kay, we encourage you to do so. We have two samples of each tea to give away, one of loose tea, and one of teabags. We send two samples to each winner. Additionally, one Grand Prize winner will be able to choose a full batch of one of the featured teas. If they would like – Winners can choose to gift their winnings. As in our prior giveaways, we do welcome international entrants, but due to changes in shipping costs, we have had to change how many packages we can ship overseas. For this particular giveaway, we will allow for 3 international winners. Follow us on Instagram, like the post, and repost, tagging us and include #dsnteagiveaway in your hashtags. The entry period will be until October 16th – as this is a lot of tea. Collating the data and rolling the dice will take some time, but the winners will be announced by November 10th. Additionally,we will NEED responses to our queries regarding preferences and allergies. If we contact you for that information, you will have one week to respond, and if there is no response we will choose another winner. You do not need to be in the United States to enter this giveaway. International entries are encouraged. APO/FPO addresses are US addresses. We will not use any personal information gained through this giveaway for marketing purposes. We will not share any information gathered with any other entities. “Orphan Teas” are our parlance for ‘teas that we need to have go away now.’ Finding them homes is part hobby, part necessity. This entry was posted in Black Tea, Chai, Citrus, Floral, Fruit, Green Tea, Herbal Teas and Tisanes, Medicinal Teas, Mint, Red (Rooibos) Tea, Sales and Events, Simply Tasty Teas, Smoky, Spicy/Hot, Things We make (Tea, Coffee, Cocoa) and tagged #365teas, #dsnteagiveaway, Bones, Book Tea, Castle, Deep Purple, Desert Sage Natural, event complete, Literary Tea, Organic Tea, Organic Tea Giveaway, posts with audio, Potterverse, Science, Star Trek, Supernatural, The Blues Brothers, The Neverending Story by DesertSage. Bookmark the permalink.